Presenter: George Yates is the President and CEO of HEYCO Energy Group, Inc., an exploration and production company. 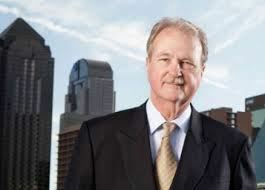 Description: George Yates, President and CEO of HEYCO Energy Group, has had plenty of success as an independent oil and gas producer in the U.S. HEYCO Energy has been in the forefront of the U.S. shale revolution. Its work includes interests in the Permian Basin. New technology in drilling has opened up opportunities that once seemed unimaginable. Looking to use its expertise beyond our borders, HEYCO and its subsidiaries set their sights on Europe. About the Presenter: George Yates is the President and CEO of HEYCO Energy Group, Inc., an exploration and production company. HEYCO Energy Group is active in upstream oil and gas operations in the United States and Europe. HEYCO is privately owned by members of the Yates family of Southeastern New Mexico, who have been active in the upstream oil and gas business since the 1920s. Yates has served as chairman of several industry organizations, including the Independent Petroleum Association of America, the Natural Gas Council, Mountain States Legal Foundation, the Business Industry Political Action Committee, and the Independent Petroleum Association of New Mexico. Yates sits on the board of Matador Resources Company, a public energy company. He won the oil and gas industry’s prestigious Chief Roughneck Award in 2004 and entered the Rocky Mountain Oil & Gas Hall of Fame in 2009.